Rain has prefented quick times so far this season, which means Belle and Paige haven’t finished a competition yet. But Paige currently sits in fifth place in the UK Championships, so she has everything to play for and Belle will be slipping behind the wheel of her brand new dragster, which looks set to be one of the best in Europe. Custom built for Belle, the dragster is being shipped across from New York, complete with mini pedals tailor made for her size 1 feet. “We’ve had a decidedly soggy start to the racing year, but Paige and Belle remain focused and have already proved that they have what it takes to go all the way,” said Neil Summerville, EMEA Franchising Director, Alamo Rent A Car. “This is a really important event on the drag racing calendar and we are offering the girls our full support to help them prepare for the big day. 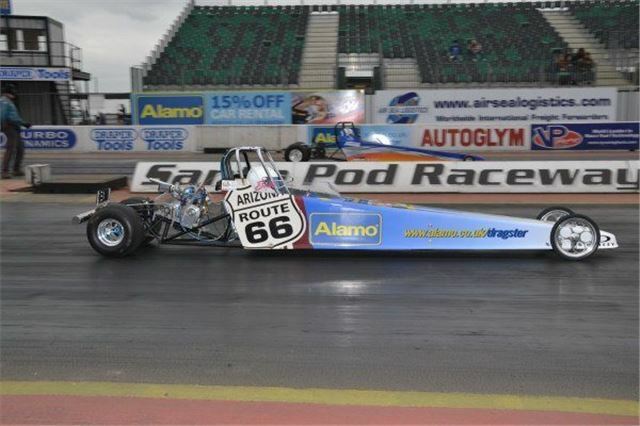 With a global network providing access to over 2,500 rental locations in over 100 countries worldwide, and over 1,680 European locations, including at every major airport, Alamo offers a wide range of vehicles and optional extras for leisure travellers, making it the ideal partner for drag racing fans.